New podcast! 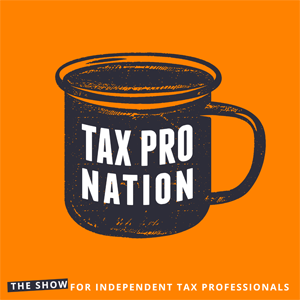 Hosted by Jeff Dolan and Andy Frye, Tax Pro Nation is the show for independent tax professionals, airing every Monday. The ninth and final step on The Pronto Path is Fruition. In this episode, we walk through how to achieve a lasting legacy in your tax career you can be proud of and enjoy. This step is truly an achievement but only for those who prepare for it ahead of time. In this series, we are walking through the 9 steps of The Pronto Path. The Pronto Path is a career roadmap or framework to remove fear and doubt from the tax profession. If you’re wondering how to get from where you are right now to where you want to be as an independent tax professional, this show is for you! If you are buying or selling your tax business and want to connect with the Tax Pro Nation audience, please contact us to help make an introduction. 02:36 - Sunflower or Sequoia? 10:10 - What is a good profit margin after paying the owner’s salary? 16:26 - Do you have an exit strategy? Do you have a succession plan? 17:22 - What does the word legacy mean? 18:56 - What from my life’s work is going to carry forward? 47:57 - What makes your business Fruition worthy? 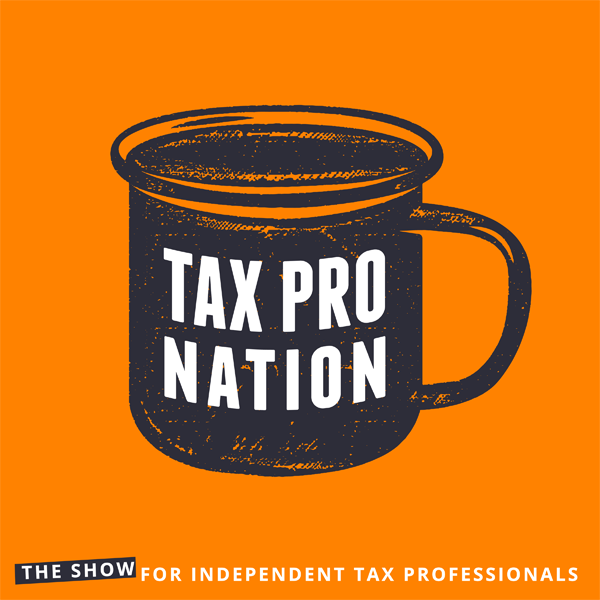 54:00 - What’s next for the Tax Pro Nation podcast? 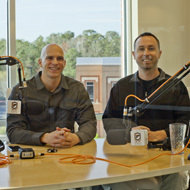 Jeff Dolan and Andy Frye are your hosts for Season 1 of Tax Pro Nation.